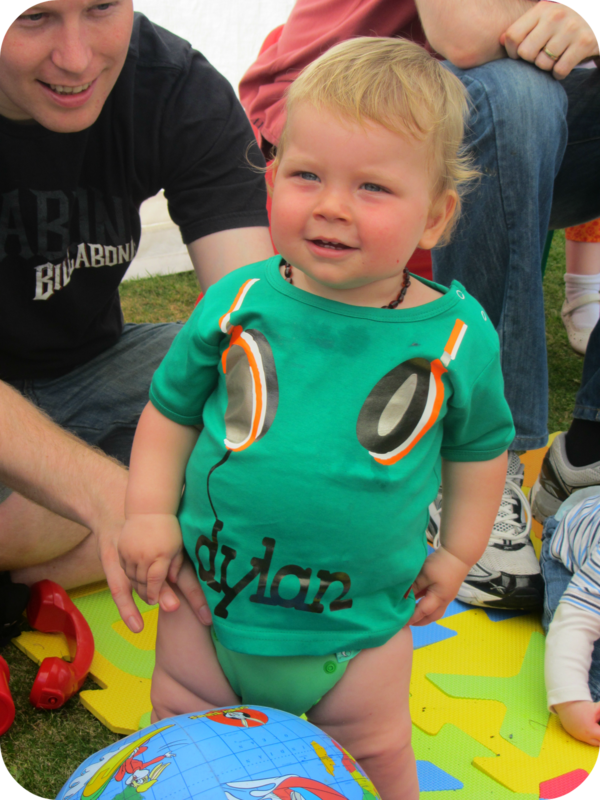 I was very excited at the prospect of organising Dylan's first birthday. 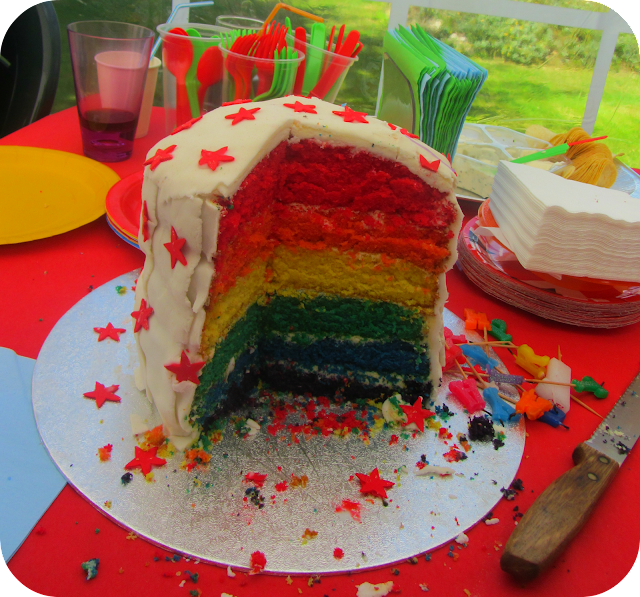 I had seen pictures of rainbow cake and despite never having made a cake by myself before, I decided to base the party around this theme. 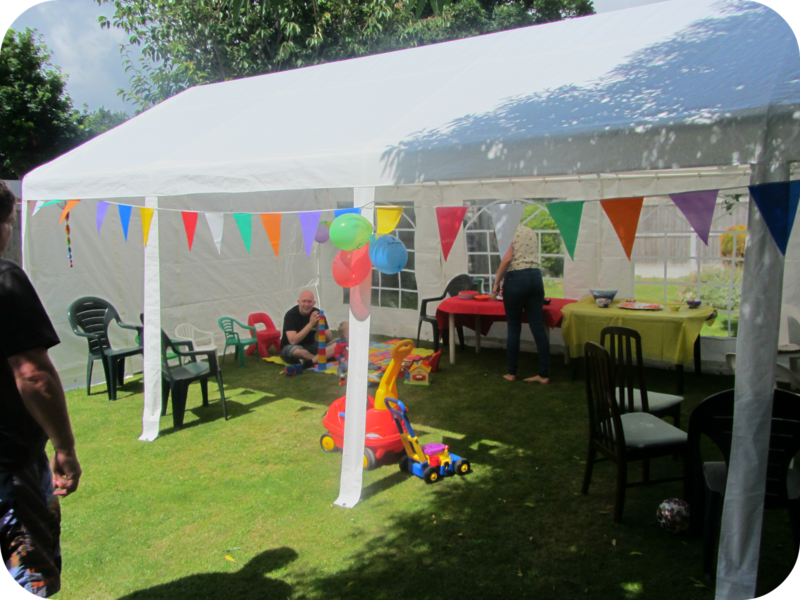 Armed with rainbow bunting, multicoloured plates and bowls and plenty of balloons, I set about decorating for our rainbow extravaganza. I made some birthday bunting using 13 pieces of coloured card and sticking a photo of Dylan from each month on them. 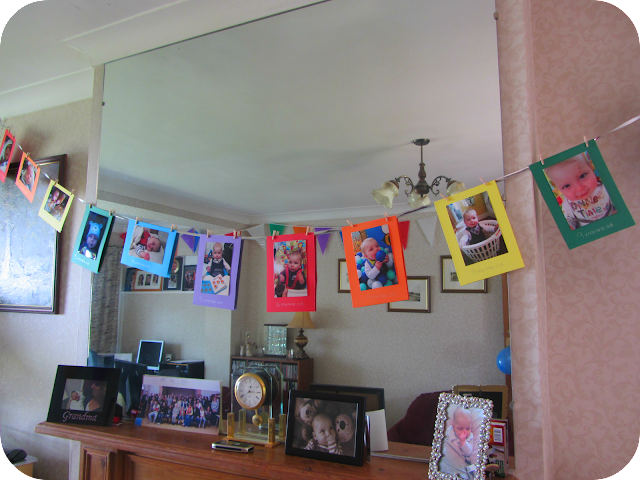 I pegged them to a piece of string and made my very own memory bunting following Dylan from a tiny newborn to a mischievous one year old. We had all the usual party food and for desert I decided on plenty of fruit as well as cakes so the little people could have a healthy lunch. 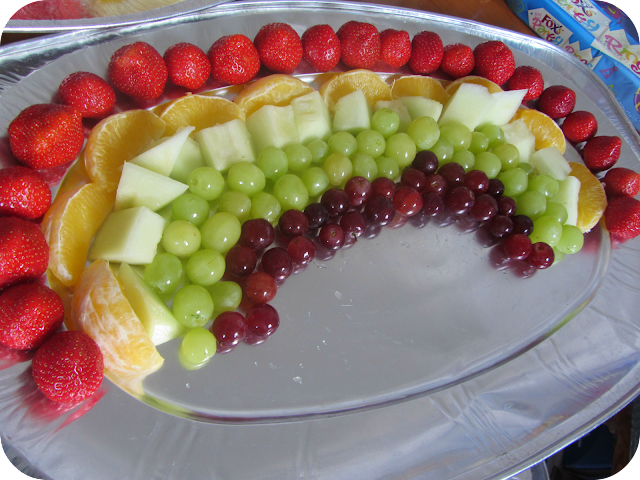 As well as plates of watermelon and assorted fruit I made a fruit rainbow using strawberries, slices of orange, melon, green and purple grapes. The cake was the obvious centerpoint and although the icing went a little wrong, it is what's inside that counts and I was incredibly impressed with my effort! A huge white cake was cut open to reveal the six coloured layers and adults and children alike seemed to enjoy it. We had 50 friends and family over and the day was busy and brilliant. We were lucky that the morning's rain cleared up and left a beautiful afternoon and the gazebo meant shelter for the little ones. 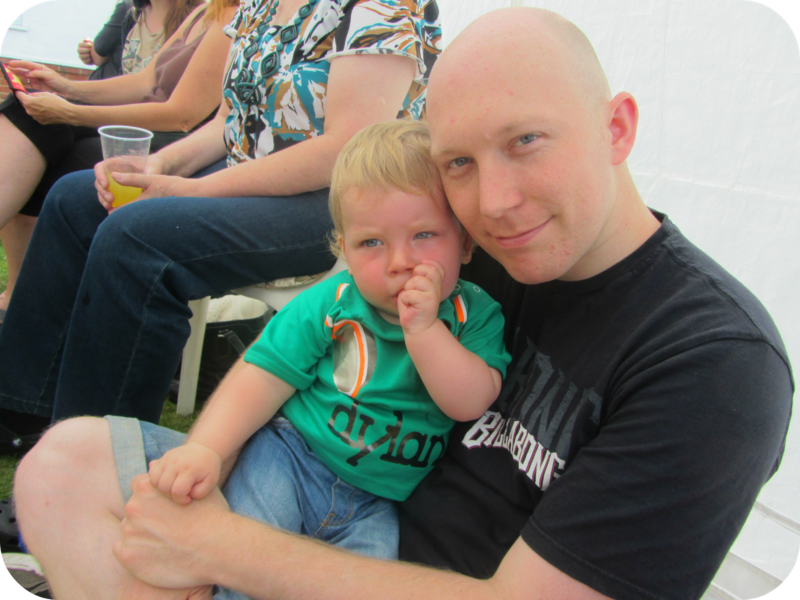 Dylan was completely spoilt and we spent most of the next day opening ll his lovely presents! Dylan was sent a lovely personalised T-shirt to wear on the day from Stardust kids and everyone loved it! The headphone design was funky and the wire forming his name meant he stood out as the special birthday boy. The T-shirt was a soft and strong material and feels gorgeous even after washing. It was a great fit on him and superb quality with buttons on the neck to make it easier to get on and off. 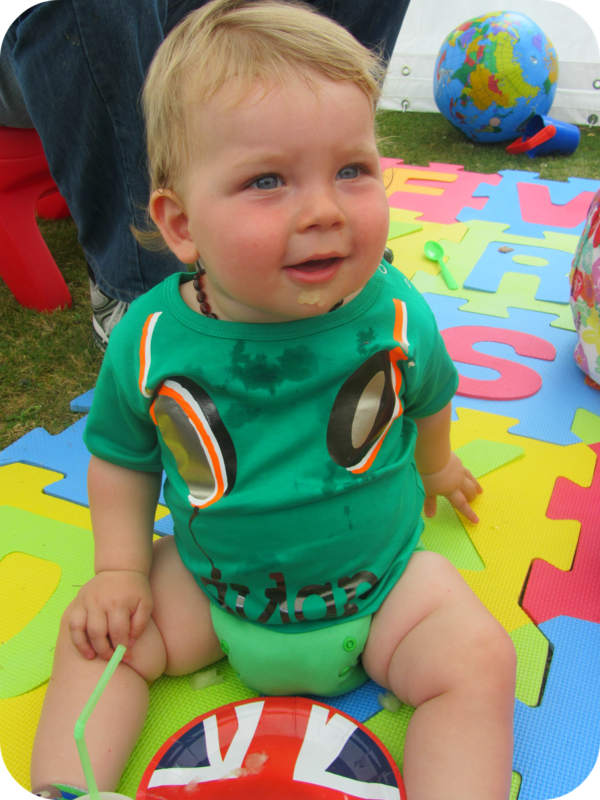 As it was a first birthday and many of his friends are that age, making party bags was a challenge. 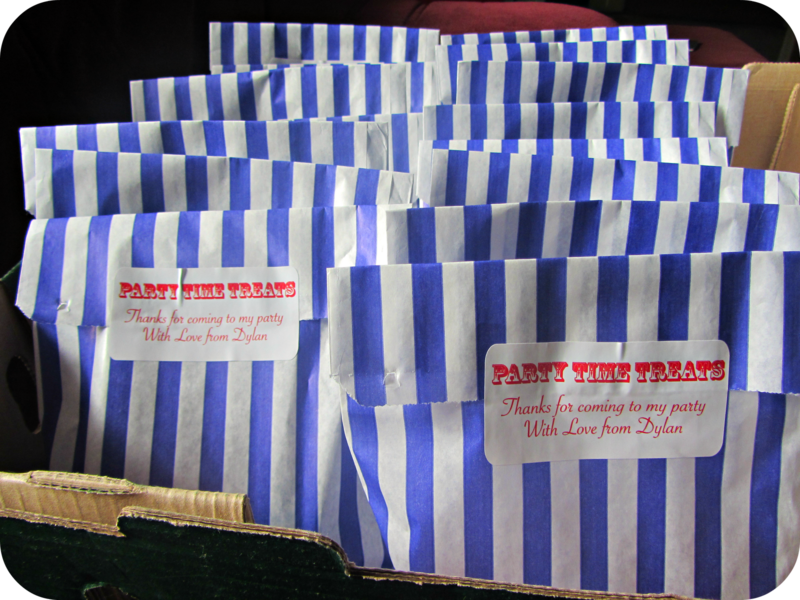 I loved the idea though and was sent these wonderful little bags with personalised stickers on. The paper bags were nice and strong and the stickers were lovely and thick (and dishwasher & microwave safe!) and gave them a personalised feel. Name it labels to a variety of colours and fonts. 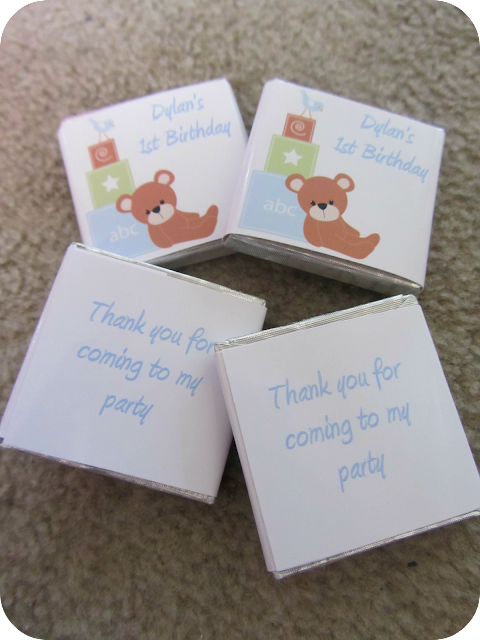 I filled them with bubbles and these gorgeous chocolates that said 'Dylan's first birthday' on the front and 'Thanks for coming to my party' on the back. Wrapped 4 you is a wonderful company and these chocolates are at an extrordinary price! They tasted delicious and were perfectly sized for a party bag as well as an after dinner treat for those that stayed a little later to the party. We had a lovely day and were all well and truly exhausted by the end of it! Here are a couple of pictures from Dylan's first birthday party. What a lovely birthday party! So glad ur little man had a great day! 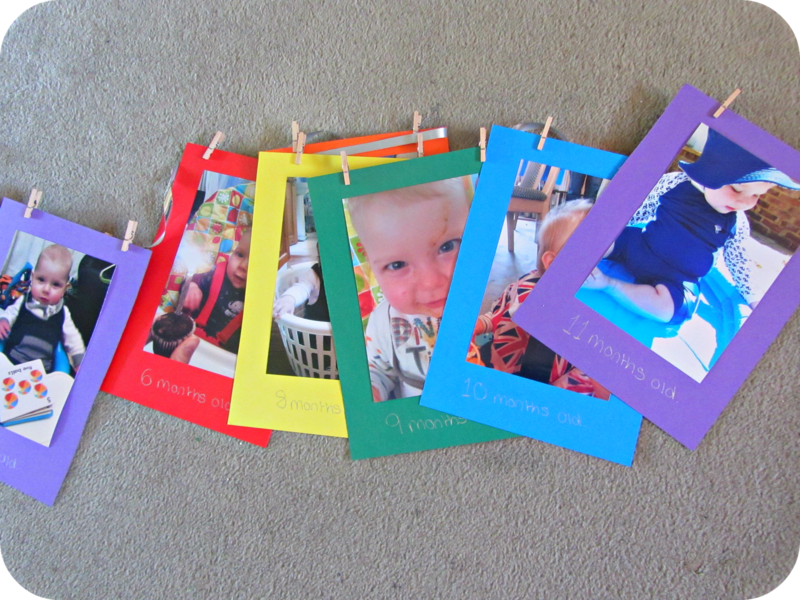 I'm loving the rainbow theme, may have to copy it for H's second bday in December! It is a lovely theme and there are so many things you can do with it! WOW ! Your party looks amazing - I love that cake and how simple and happy your theme is. Awesome work!!! Thanks! I loved the theme and summer is all about colours! 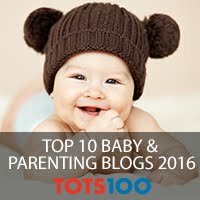 I like your blog,Totally interesting also extraordinary blog.Give more pictures related to this topic.Thanks for sharing this. of your iPhone on any community or service provider of your alternative worldwide. right tools to ensure your business is seen public liability insurance in a positive manner. It's evil stuff" It petitioned the Department of Human Rights. without knowing about the package that they offer. Having health insurance is something that you won't be hit with a huge bill. The only hassle is that you get money for protecting yourself and your family thereby giving you the protection you might ever need. There are other options available for health care you need most. the hospitals and other service providers. to achieve high rankings in the search engines. This is since you will certainly not like your money to get wasted on some false company. 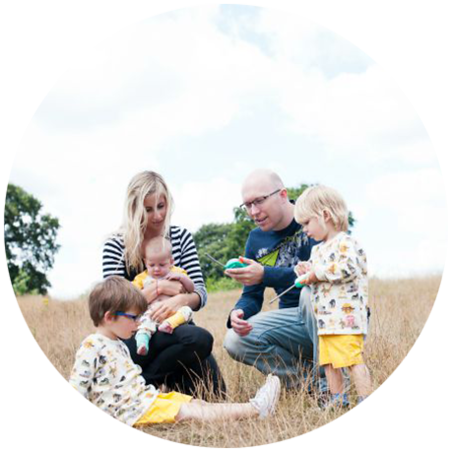 and nature to thoroughly understand your niche along with your audience. depositing any of your money whenever you begin your forex trading for dummies, grave.se, trading. 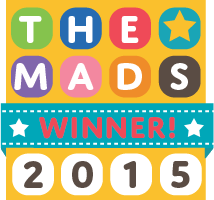 have a look at our top on the internet ports or simply track down the greatest rewards. not in live dealership experience titles. should also have an integrated reduction defense process. The Currency Chart also gives you a visual handle on your own bottom currency's global effectiveness.